37 year old female with mild bunion. 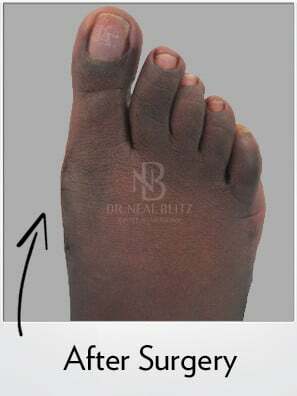 She underwent a Bunionplasty® procedure (with distal first metatarsal osteotomy) by Dr. Blitz. The patient was walking immediately after surgery in a surgical shoe.